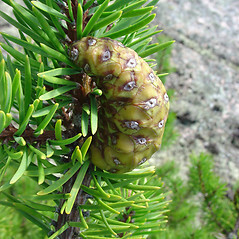 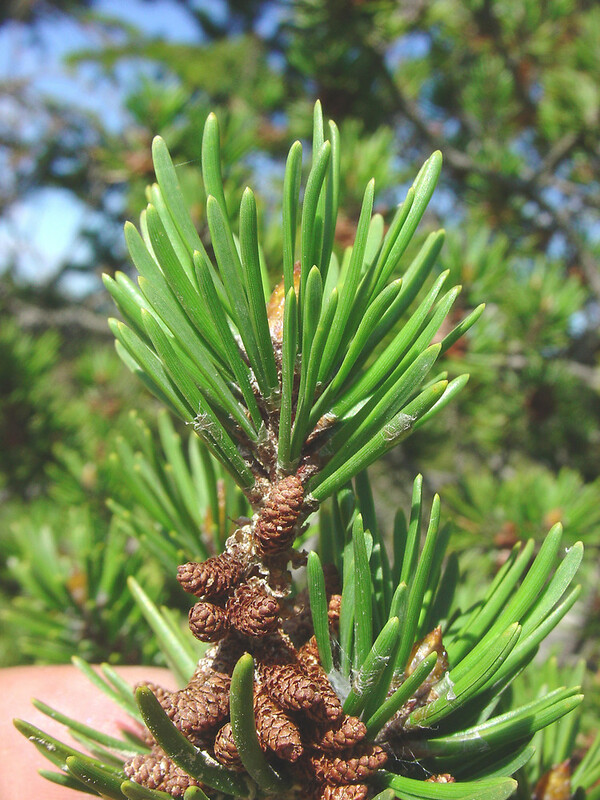 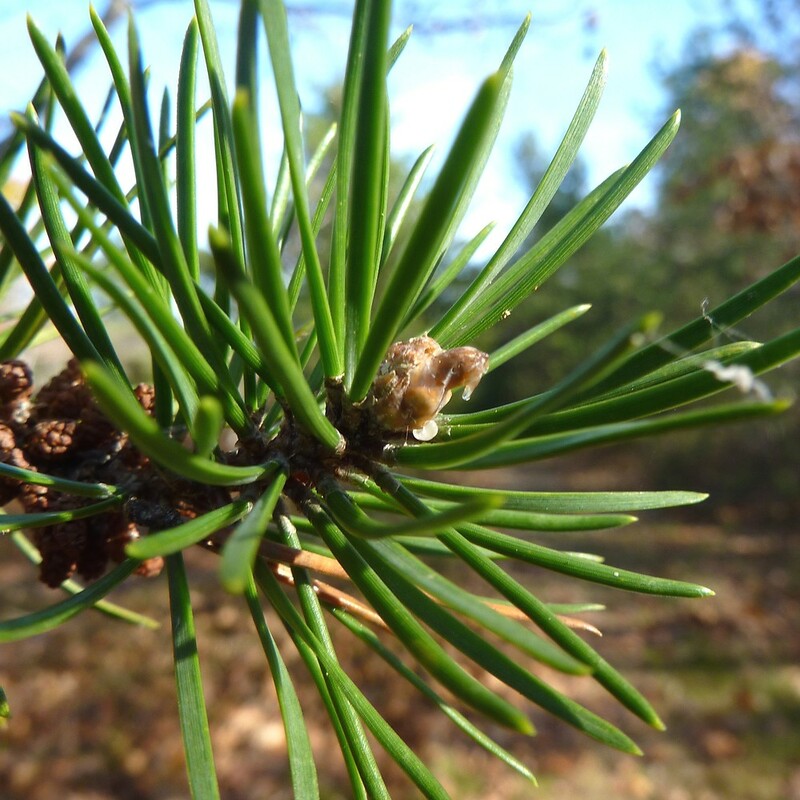 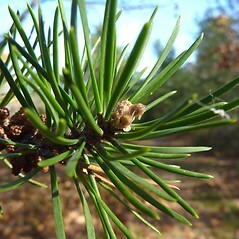 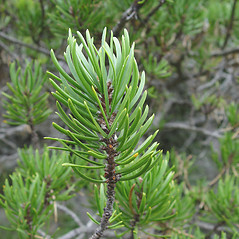 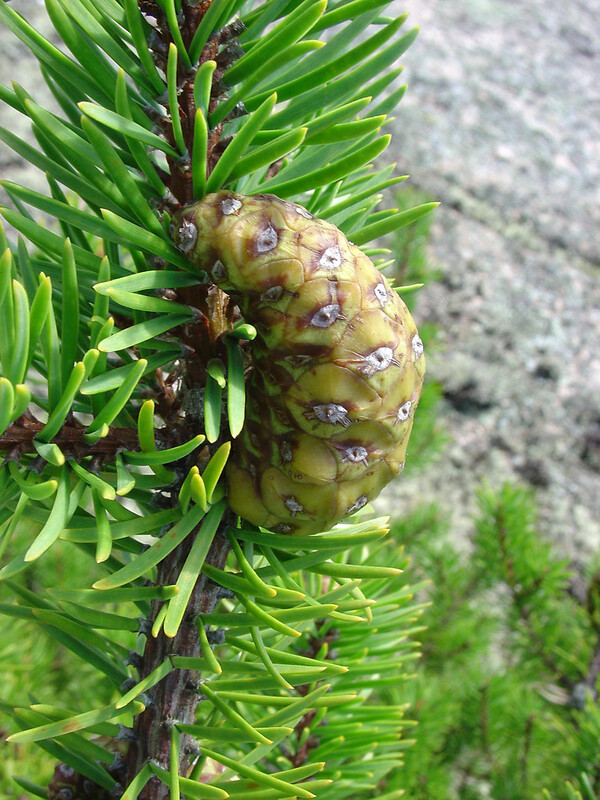 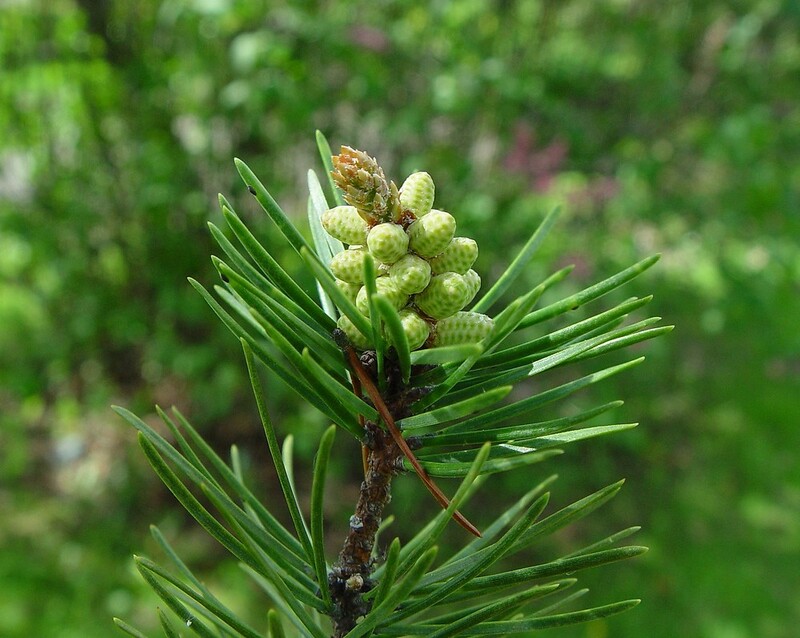 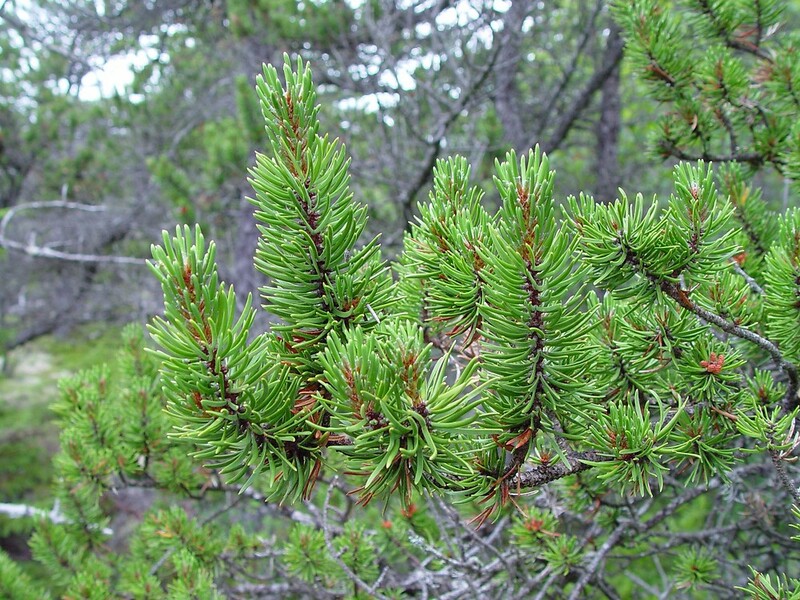 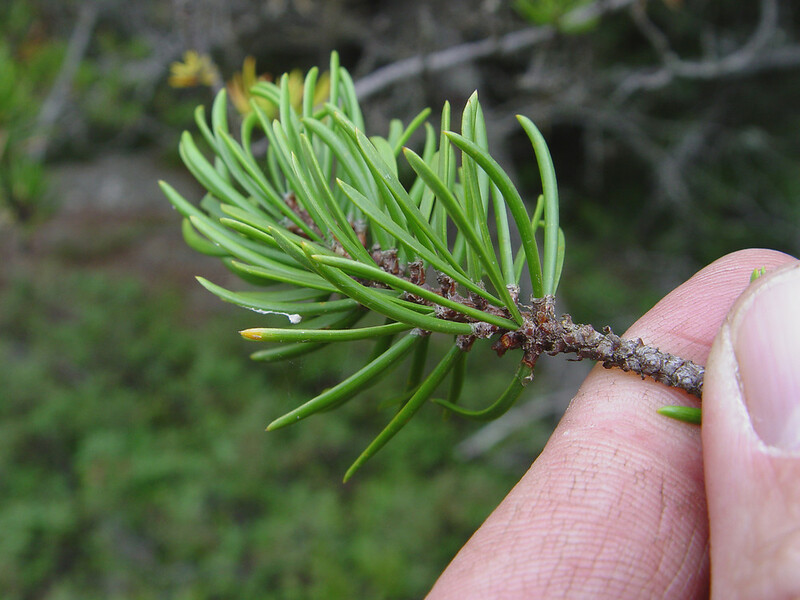 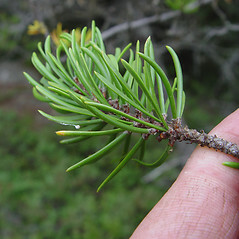 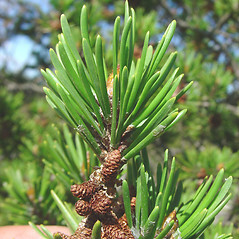 Jack pine is a cold-tolerant species primarily of northern New England, usually found growing on poor soils. 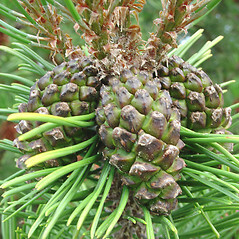 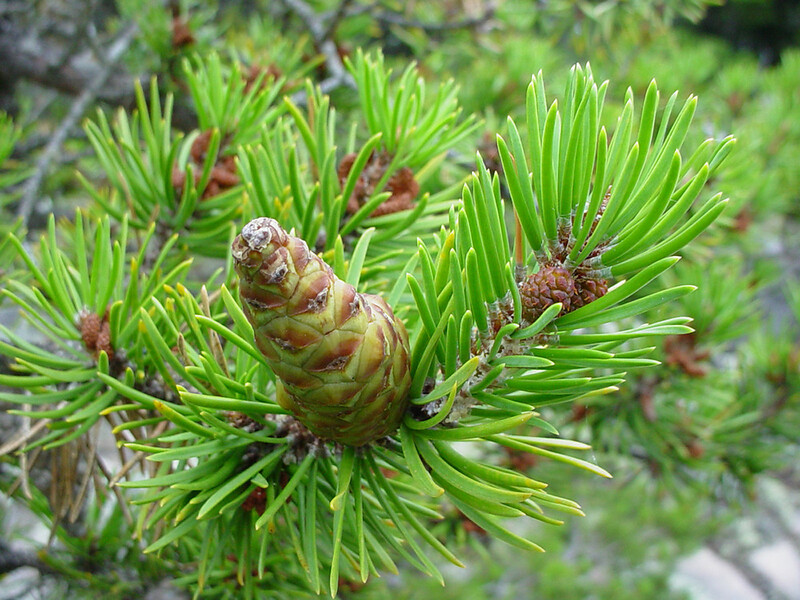 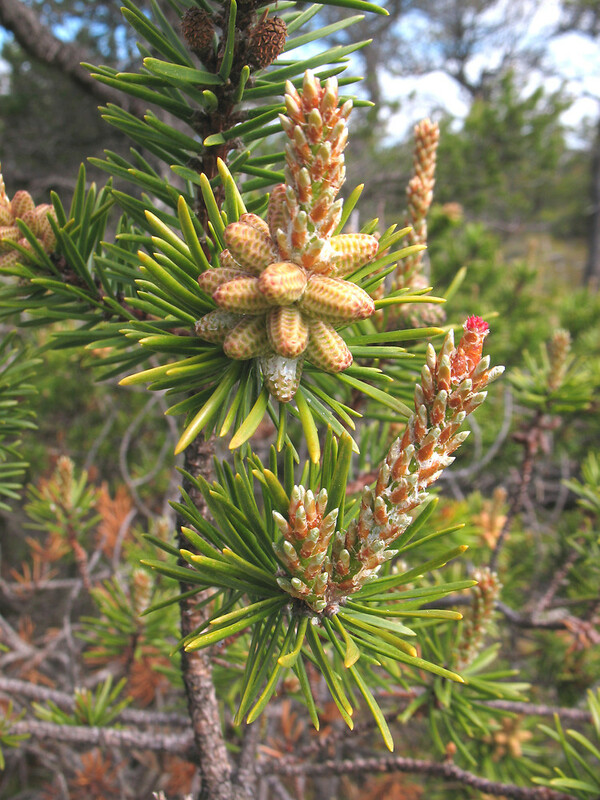 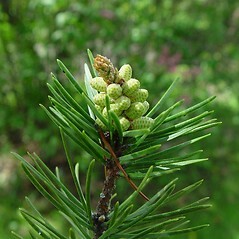 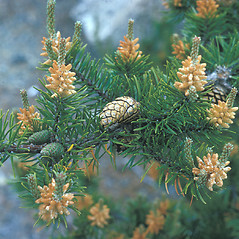 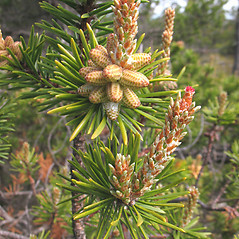 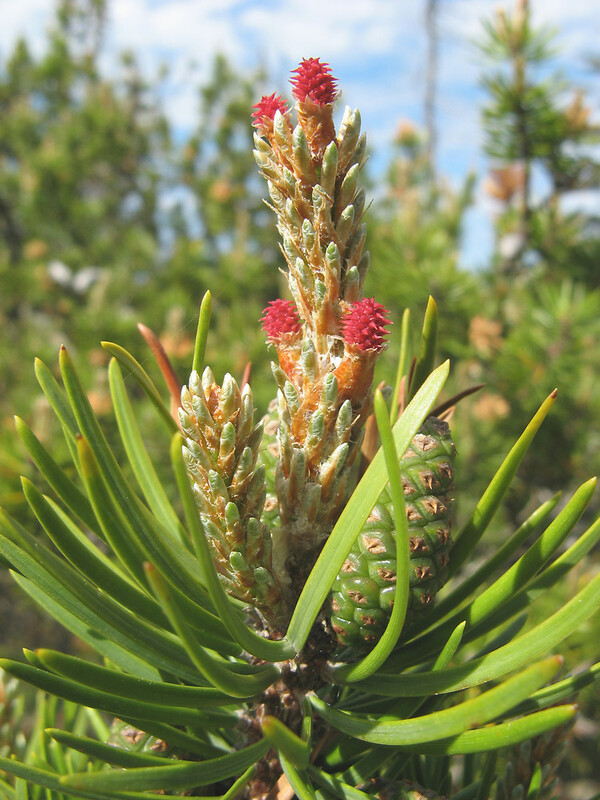 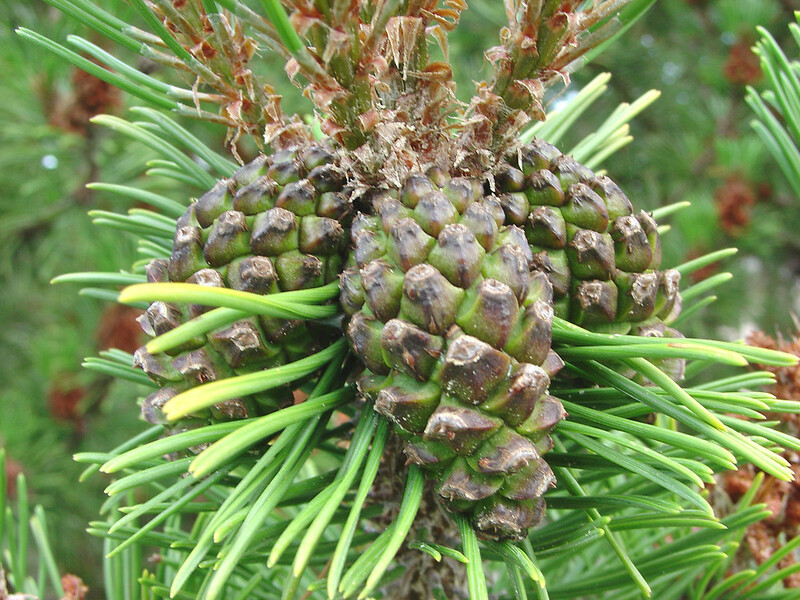 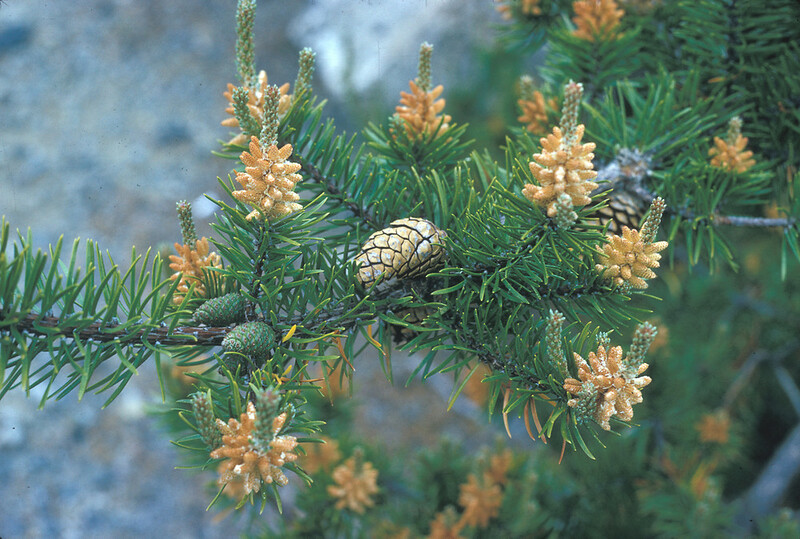 Cones of northern populations are serotinous, opening only in the extreme heat of a wildfire. 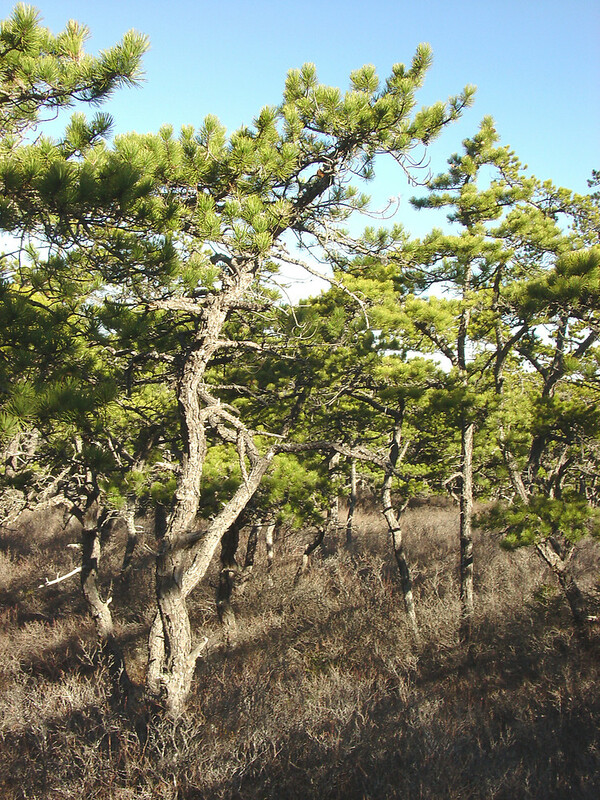 The seedlings thrive best on disturbed soils. 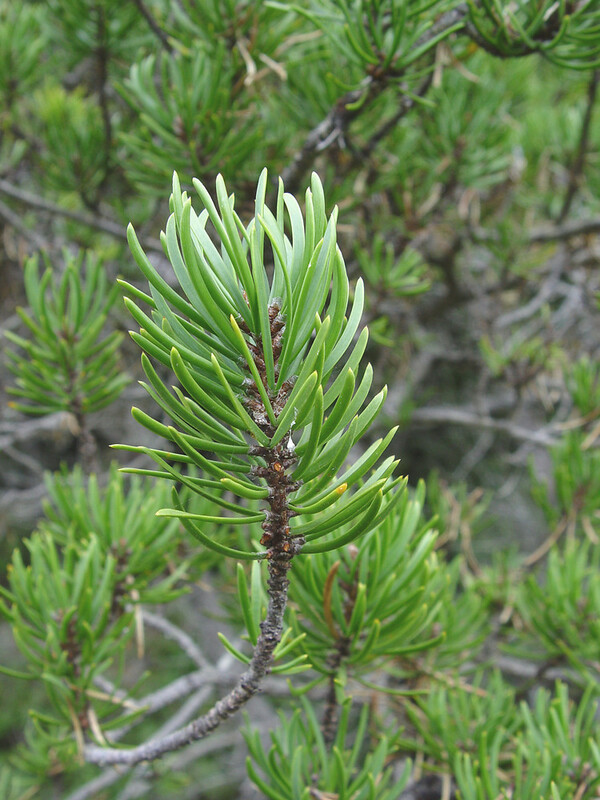 The straggly trees have short, tough needles. 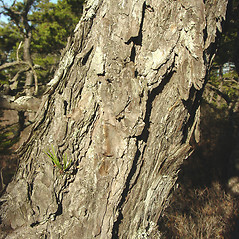 The wood is primarily used for pulp and occasionally for making pallets and other objects. 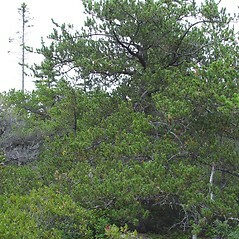 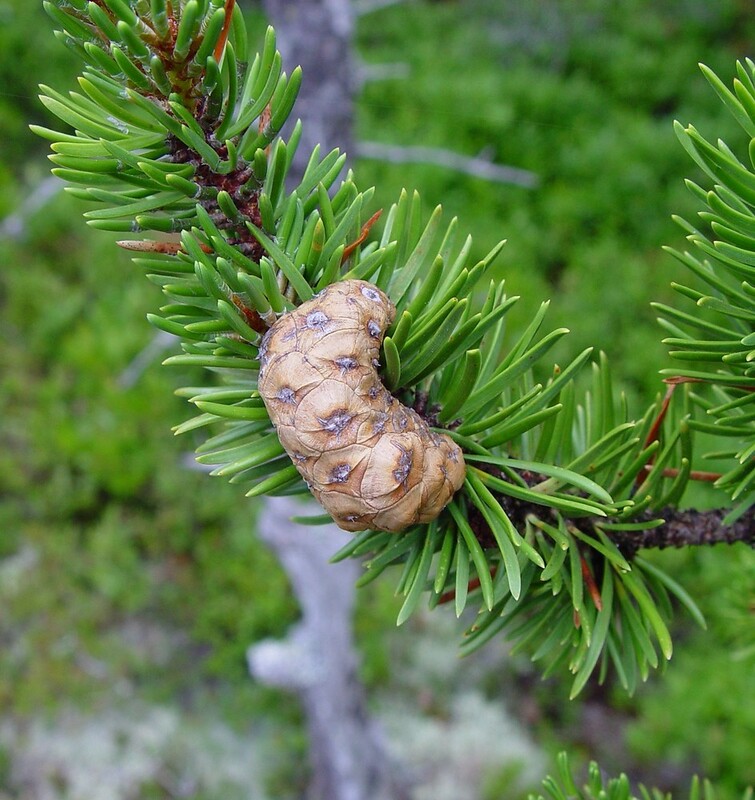 Jack pine can create cover for blueberry barrens, and the twigs provide food for snowshoe hares and other wildlife. 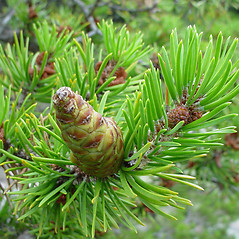 needle-like leaves mostly 9-16 cm long, not or only slightly twisted and seed cones relativley symmetrical (vs. P. banksiana, with needle like leaves mostly 2-7 cm long, twisted, and seed cones asymmetrical, curved and/or more developed on one side). 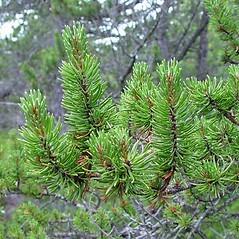 Jack pine. 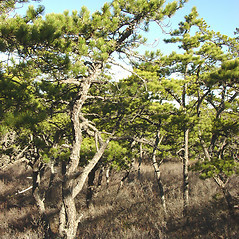 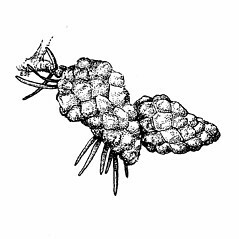 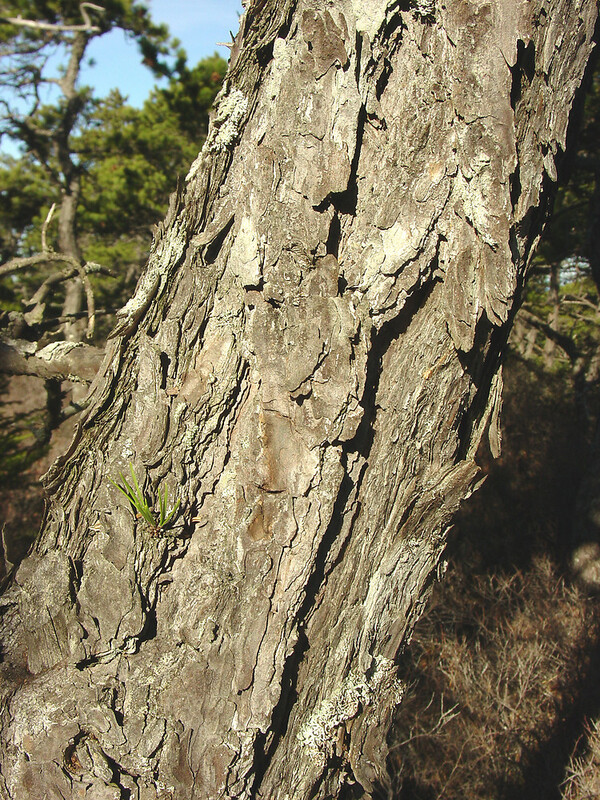 Pinus divaricata (Ait.) 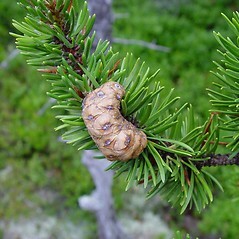 Dum.-Cours. 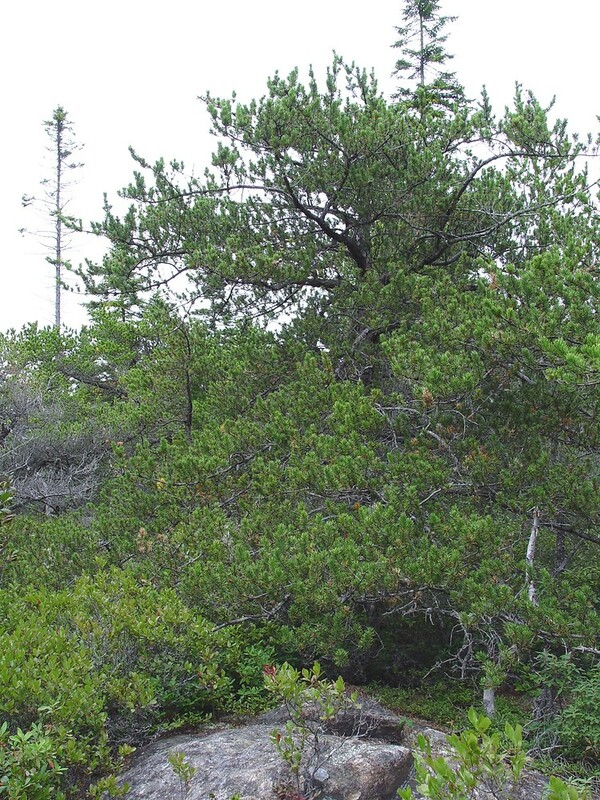 • MA, ME, NH, RI, VT. Nutrient-poor, sandy and/or rocky soils, occasionally in peatlands. 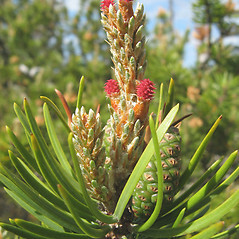 This plant is introduced to MA and RI and is native (at least in part) to the other states in New England that it occurs in.